Here's a chance for you to purchase various publications featuring flying boats from my own collection. Each one for sale in this list is part of my own 'book stash' collected over many years and is offered for sale to raise funds for the site. Each publication is inspected and packed by SEAWINGS and once sold, is gone for good. All sales are final and goods will be dispatched immediately payment has been received. Payment will be by PayPal or cleared cheque only. All publications will be packed properly with card protection to ensure that they arrive with you in as a good a standard as it was when it left me (Postal handling permitting). I have described each of these publications as I see it in my hands, as genuinely as possible. If you wish to know more about the publication itself, then please use Google, or other means, to search for a book review. If you have any questions concerning these publications condition, please email SEAWINGS. Special Note: Pricing - I have tried to be as competitive as I can with my offer prices here. Obviously, if you can purchase the same publication from other sources such as ebay or model forums for instance, then you may get lucky and find an example a bit cheaper or not, as the case may be. However, please remember that purchasing here gets you the publication without all that messing around and serves to support your favourite flying boat website at the same time! £7.95 + £4.50 Postage within UK or £6.50 Europe. Features details of every flying boat and aircraft type built by Supermarine using images and profile drawings from the Aeroplane magazine archive. Lists and describes every flying boat for historians and enthusiasts alike. Very useful 'one-stop' catalogue of their aircraft. £25.00 + £6.50 Postage within UK or £8.50 Europe. 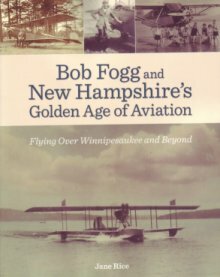 The story of Robert S. Fogg, the Granite State's true pioneer of aviation which includes many previously unpublished images of seaplanes and flying boats and aviators of the 1920's and 1930's. It describes the seaplane base that was a prominent feature of the Weirs boardwalk from 1923 until the early 1950s, and the planes that flew from many lakeside resorts throughout New Hampshire. Classic Waco's, Travel Airs, Beech Staggerwings and Sikorsky amphibians that once plied the blue skies over Lake Winnipesauke come to life again in the pages of this fascinating history. 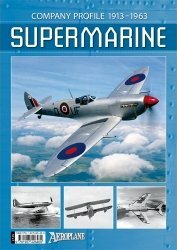 Features 20+ different aircraft types using large format images and superb cutaway drawings from the Aeroplane magazine archive. Supermarine Walrus and Sea Otter featured for flying boat enthusiasts. Superb reference for the scale modeler and historian alike. £7.99 + £4.50 Postage within UK or £6.50 Europe. The complete story of the design, development and operations of this famous aircraft manufacturer, from the earliest beginnings right up-to-date. Features a complete history of the famous Macchi flying boats and the Schneider Trophy contestants, fully illustrated, very detailed and highly readable.